Ever since Razer first made waves in 1999 with the Boomslang mouse, they have consistently innovated in the field of gaming peripherals, coming out with keyboards, headsets, accessories, and of course, a plethora of gaming mouses. 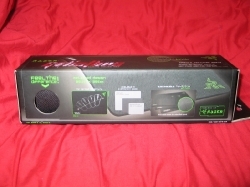 It is natural, then, that Razer would turn their attention to the mouse’s closest companion: the mouse pad. 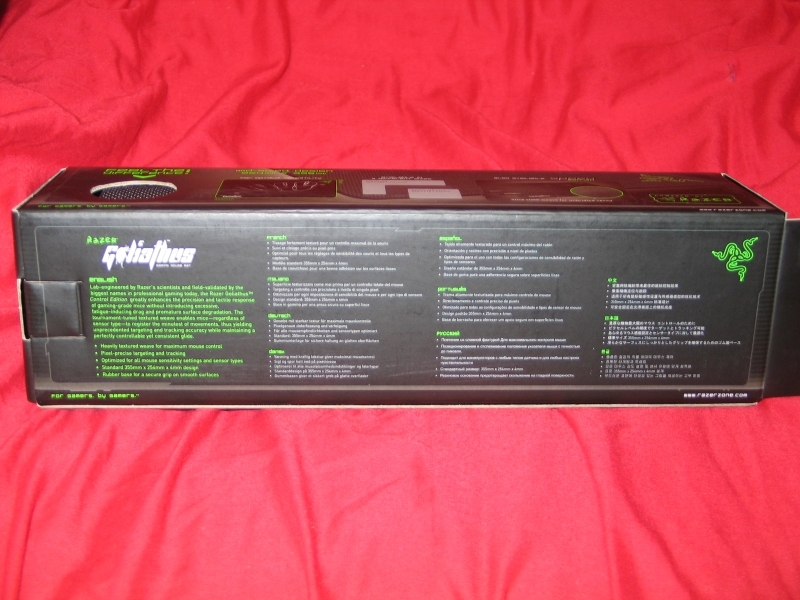 Today, I’ll be giving you a look at their latest offering in mousing surfaces, the Goliathus mouse mat. 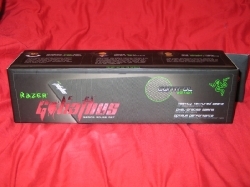 In order to meet the requirements of all sorts of gamers, Razer offers the Goliathus in three sizes and two different surface types. I’ll be looking at the Goliathus Control Edition, a mid-sized mat aimed at gamers looking for more precision in their games. Razer also offers the Control Edition pad in Alpha (large) and Omega (small) configurations, as well as a slick Speed Edition in all three sizes for those looking for reduced drag. 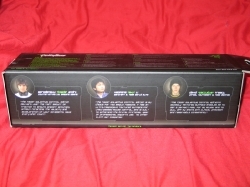 The packaging of the Goliathus is nothing too fancy. Basically it is just a box that protects the surface from wear and tear during shipping and storage. Normally we would like to see a little more protection for the product in question, but it is a mouse pad and will not suffer in any way from being thrown around a little. 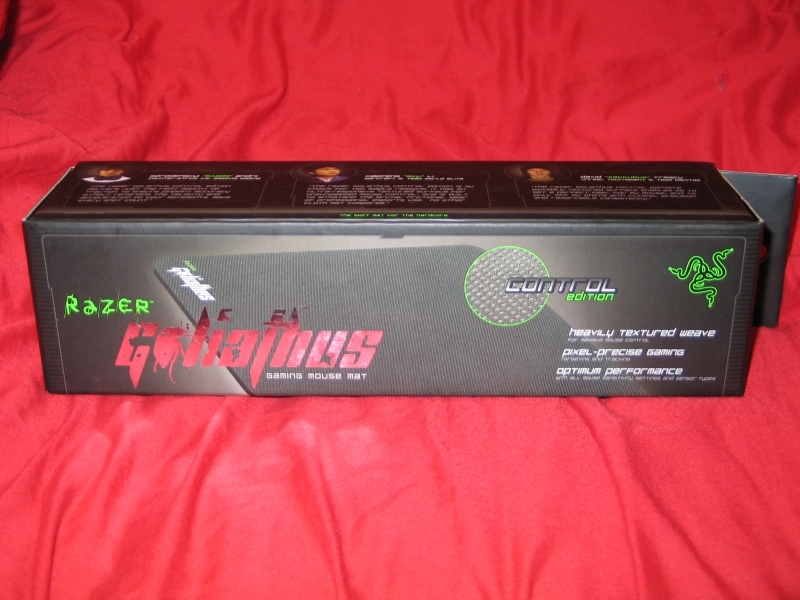 The Goliathus comes in a fairly compact box, with Razer’s usual green-on-black color scheme. The Goliathus logo is printed on with a reflective material that will catch your eye immediately.On one side, we see testimonials from a trio of professional gamers, all of whom compete as part of Razer-sponsored teams. 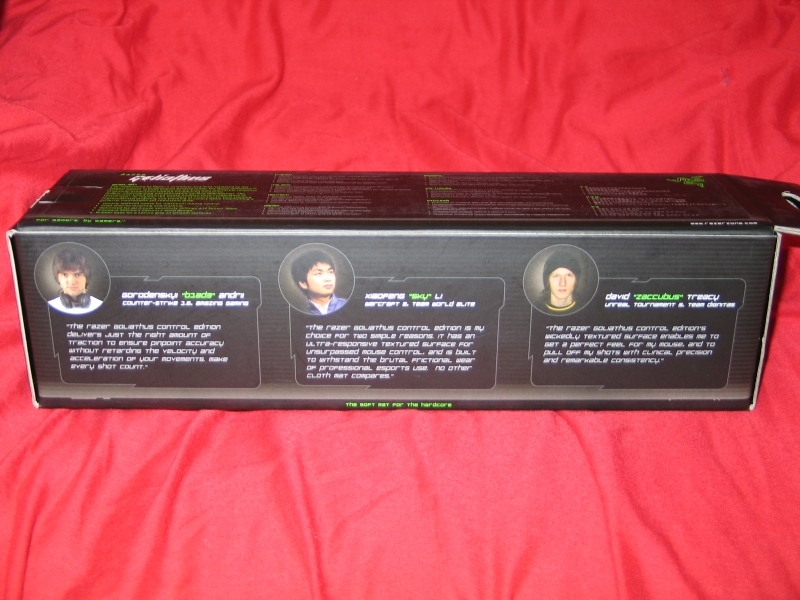 The back of the box features a short description of the product, faithfully replicated into ten different languages. 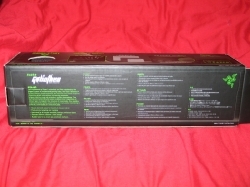 The side of the box shows a few more details about the pad, as well as providing a window for feeling the pad’s texture without taking it out of the box. rather handy for those of us that like to see something in the store before we make a purchase. I just upgraded to this pad a couple months ago. The one I got from Jason at one of the UCF lan parties started looking really worn out and old so I use it at work. Still works well, it’s just a little rough around the edges. Great mousepads, they last years! Personally I’m a big fan of Razer products. They just plain work well. My DeathAdder and I will not be parted. I like that the pad comes in different sizes and surface textures. All too often I find a pad I like but its too big or small, or I find one the right shape and size but with a surface I don’t like.